Security Memetics: Are You Surprised Ashley Madison Gave Up The Goods? 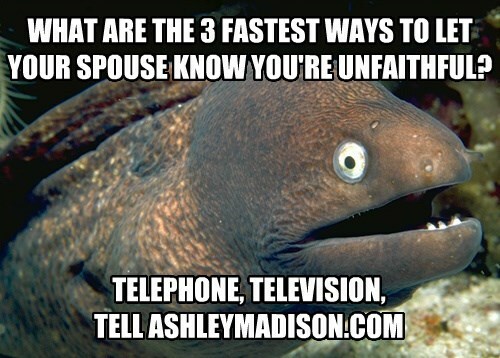 Are You Surprised Ashley Madison Gave Up The Goods? I'm not going to judge people for using a site like AshleyMadison, but it seems to me that it's probably going to be one of your bigger secrets in your life and you might not want to fully trust some impersonal corporation with your deepest darkest secrets. Sites, even those catering to appetites of the flesh, occasionally get breached, and you need to consider what that could mean for you if they do. Maybe find some way to not give them your real info, or at least as little of it as possible.